When one thinks of American fashion icons, it’s very difficult to think of anyone but one person. 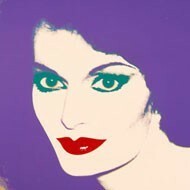 Yes, my Stan D’arlings, that icon can only be Diane von Furstenberg. The most revered woman in the industry, and coincidentally, The Standard, New York’s chicest neighbor (her studio is right across the street), has indulged moi in a rare one-on-one interview where she fills me in on her royalty, her legacy and her non-carnivorous diet. Ladies and Gentlemen, I present to you the supreme reigning Queen of American Fashion, Madame von Furstenberg. You are most famous for changing the face of American fashion by introducing the wrap dress in the early 70s. What do you think it was that made this dress and its silhouette so influential? The wrap dress just “happened”. It was naturally embraced by young women at the beginning of their lives over the past 4 decades. It feels right. It lives on its own. Everything about it is timeless and elegant! As the current President of the Council of Fashion Designers of America, how do you want to change, once again, American fashion. American Fashion is dynamic, inclusive…always pioneers. CFDA is a family…we support one another! Are the lips in your trademark logo actually yours? If not, whose are they? They are mine…taken from the Warhol portraits of me in the 70s. Your marriage to Prince Egon von Furstenberg in 1969 was the society event of the year. As a Princess yourself, what advice would you give Kate Middleton when she weds Prince William next year? Being a princess is for the others. Being a woman to your husband is what counts! Now that your husband, Barry Diller, is semi-retired, what are your plans for the future? Will you be looking for a successor for your global fashion empire? My husband is not semi-retired. He is actually more engaged than ever and has a vision for his company. He just felt he needed a great CEO for everyday management. 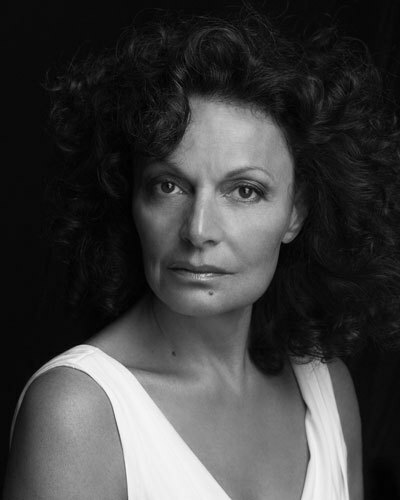 As for me, I have hired Yvan Mispelaere to be the Creative Director of DvF and Paula Sutter is the CEO.. I still have lots to do for realizing my vision, but I am preparing my legacy! Medium Rare or Well Done? Studio 54 or the Top of The Standard? Better at 24 or 64? Dave Letterman or Jay Leno?